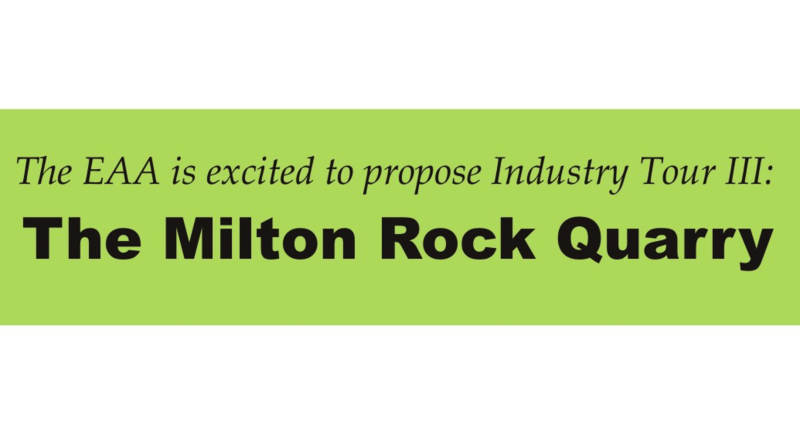 Come out for the next EAA Industry Tour at the Dufferin Aggregates – Milton Quarry, on Thursday, May 29, 2014 at 6:30pm. Learn about the site’s core operations, unique water management system, and rehabilitation efforts. Note that some PPE is required for portions of the tour. Then, stick around after the tour for a social at the nearby Ivy Arms in Milton. For more info on the Quarry visit here. Check back soon for a link to our registration page. Pictures from our last two Industry tours can be viewed here.